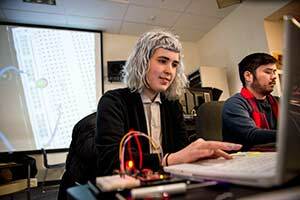 Technology at Evergreen is for everyone at any level studying any subject. The Computer Center, located in the Library building, is open 7 am until midnight most days. It has computer classrooms and open lab space. Our computers have all the software you need to get your work done. Plus there’s collaborative space to work on projects together with your classmates. The Computer Applications Lab (CAL) is an advanced computer center. One of the CAL's labs features dual monitors. CAL computers have advanced software for scientific and research curriculum. The CAL also hosts a color printer and Evergreen’s 3D printing lab. Support staff are usually upper level science students who have experience with the programs used in the lab. The Assistive Technology Lab has a variety of options to help students with access, including screen readers, screen magnifiers, and specialized devices. Evergreen offers advanced media access and education in a highly-current and technologically fluid environment. The CCAM includes a TV studio, green room, sound effects studio, audio lab, 5.1 surround mix studio, and audio/video post-production facilities. 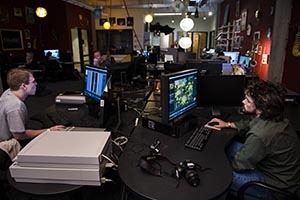 The DIS offers still imaging, graphics, and web design for use by Evergreen students, staff, faculty, and the general community. Facilities include twelve PC workstations, many flatbed and film scanners, and two exhibition quality large format inkjet printers. The Multimedia Lab offers new Mac towers with resources for video editing, audio multi-tracking, 2-D animation, web design, graphical programming environments, and 3-D modeling. 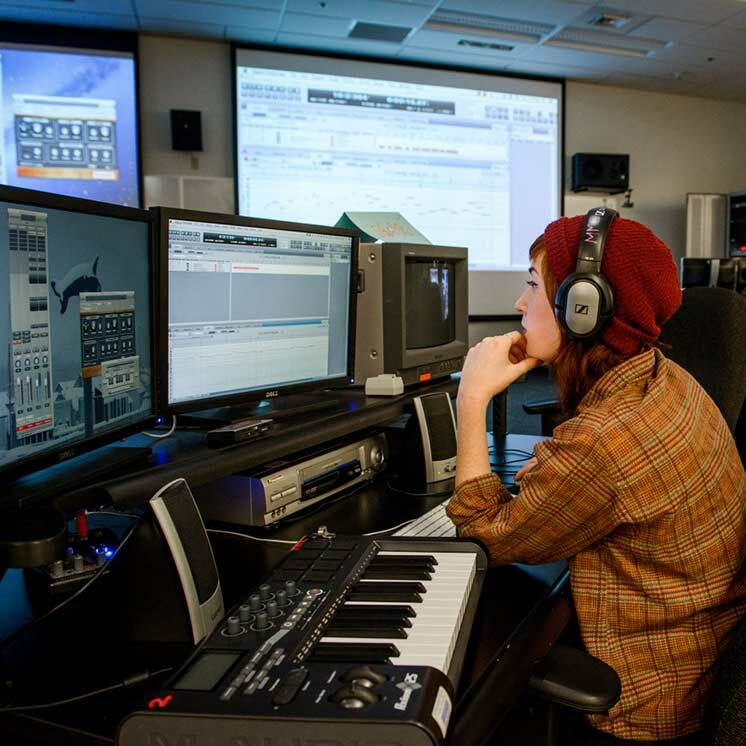 The Sound Effects Studio is part of the Center for Creative and Applied Media. The room has a Mac Pro and a Mackie 1402 mixer and a selection of floor surfaces, foley pits, and a variety of objects for creating sound effects. See Media Services for information about using the Digital Imaging Studio, Multimedia Lab, or the Sound Effects Studio. 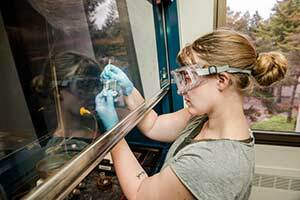 The phage lab has been a center for undergraduate research at Evergreen since 1972, Today, there are generally 10 to 15 students involved in work in the lab, analyzing these natural disease-fighting bacteriophages. These students have presented at various recent regional, national and international meetings. Tech Support is available online from help.evergreen.edu, in person through the Computer Center, and by phone. We provide support for common software as well as getting your phone or mobile device ready for school. Wireless everywhere—get online with your laptop, tablet, or phone anywhere on campus. If you live on campus, your space is also equipped with Ethernet. Greener Commons is Evergreen’s community online, where students discuss important issues, share upcoming activities, look for a ride, or sell their couch. Any enrolled student can have their own blog to use for schoolwork. Or just muse on what's important to you with a fully supported WordPress site. Academic Resources: Use the Canvas Learning Management System or download the Canvas app for your device. When it’s time to do research, the Library offers free access to dozens of databases and journals. Read and Write Gold software contains reading, writing, and studying, and research tools. It integrates with common applications such as MS Word and Adobe Reader. Evergreen students, faculty, and staff can download and use this software for free. See the AT Lab page for details.